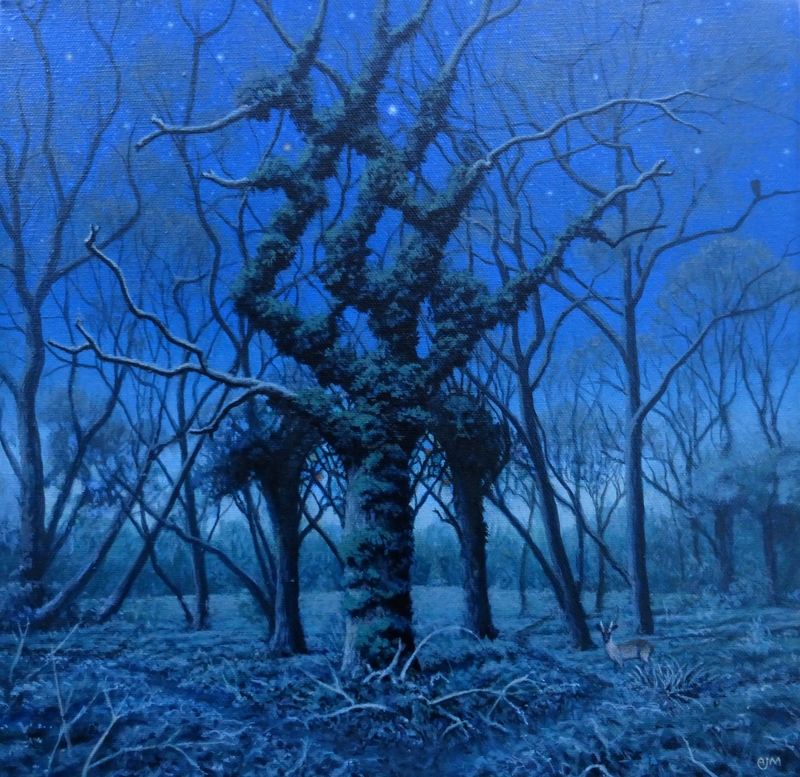 The deep edges of "Muntjack by Moonlight"
'Vulcan' oil on canvas board 8.5" x 23" private collection. 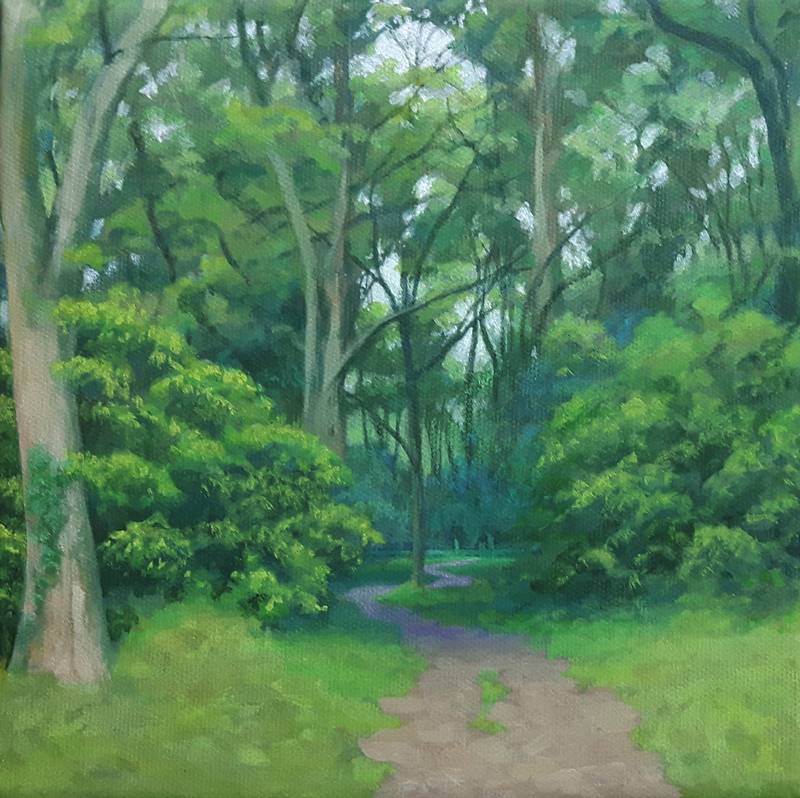 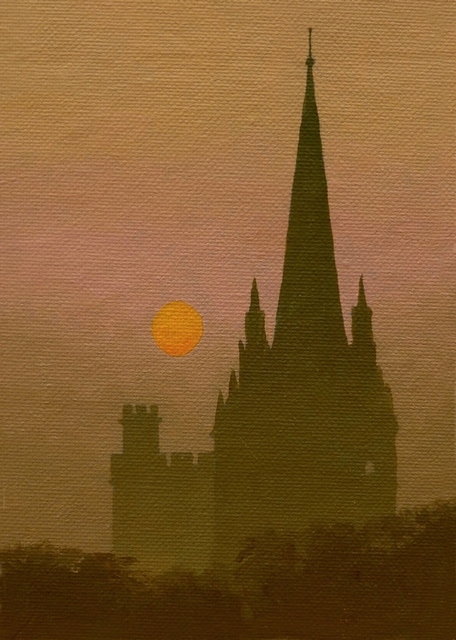 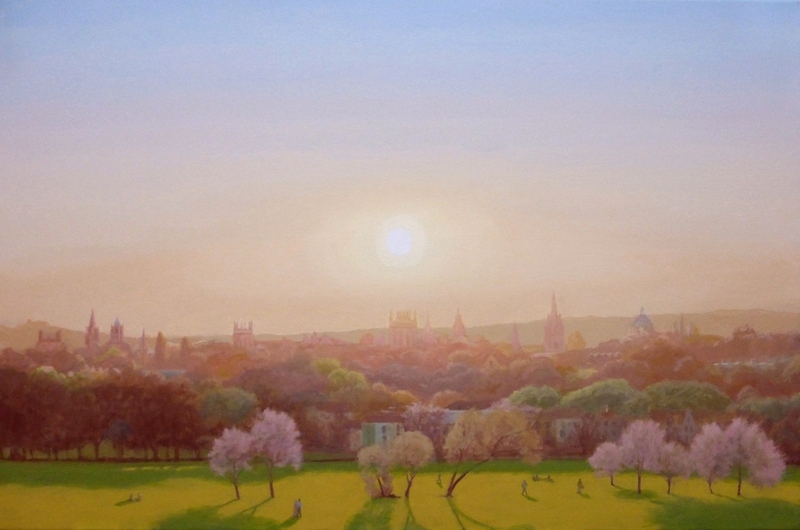 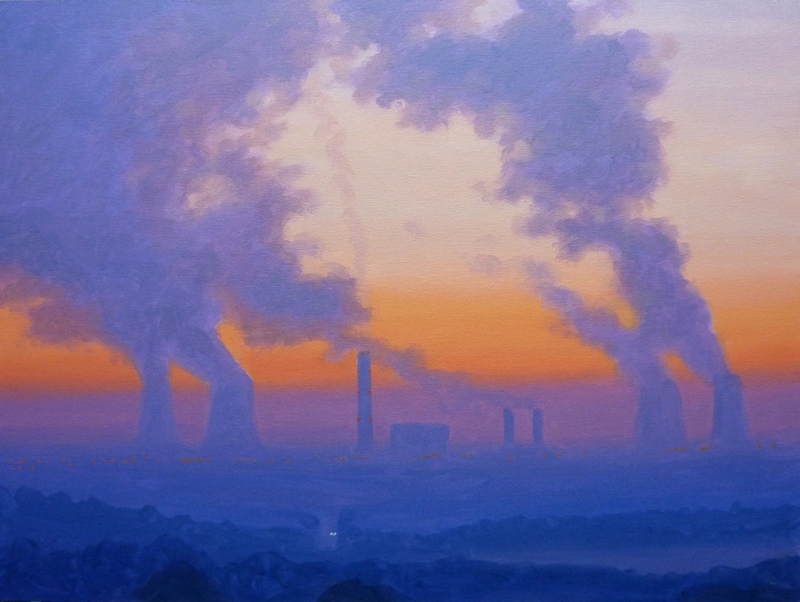 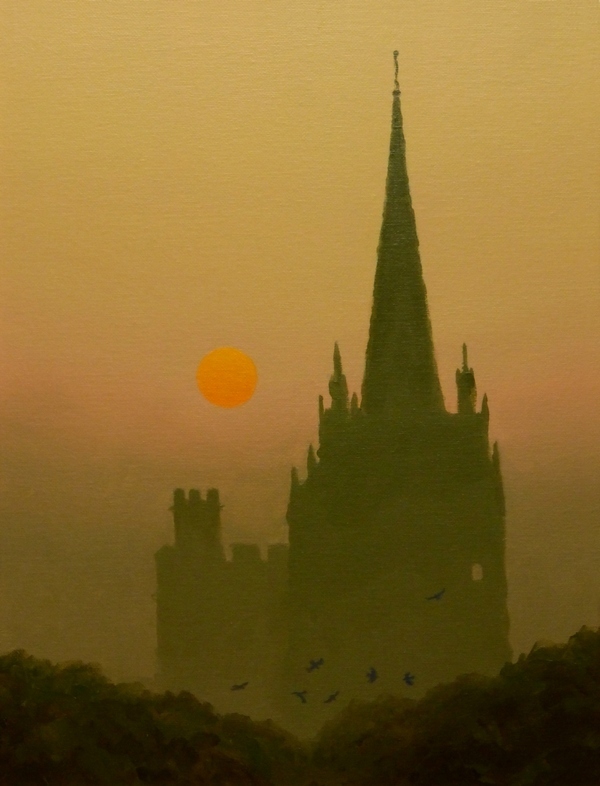 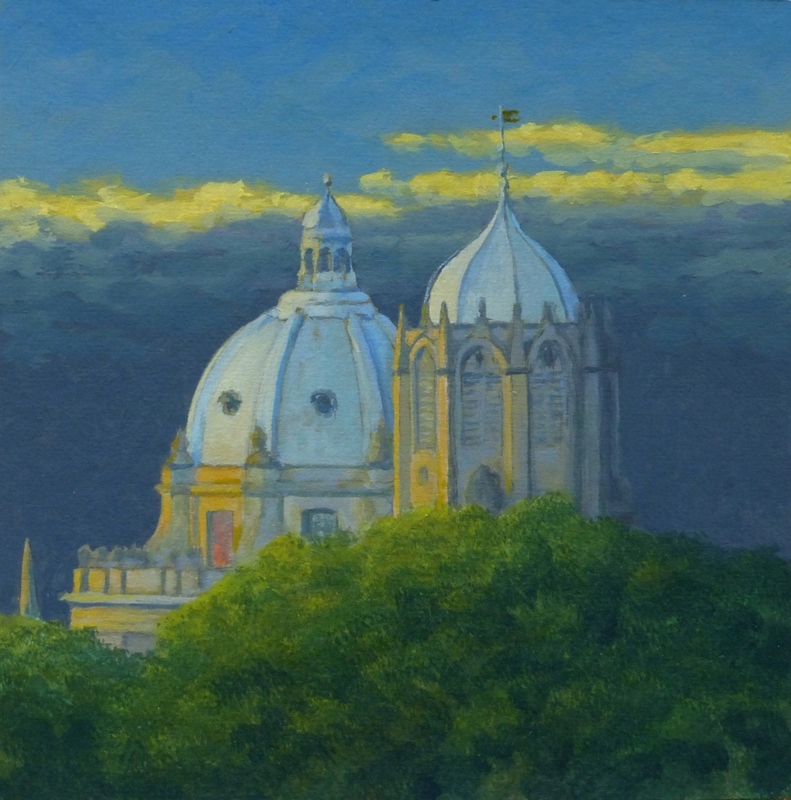 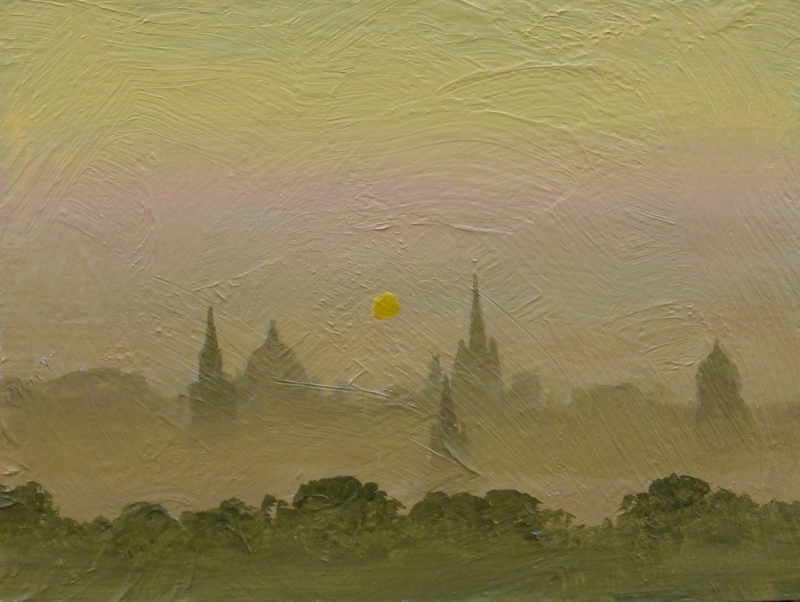 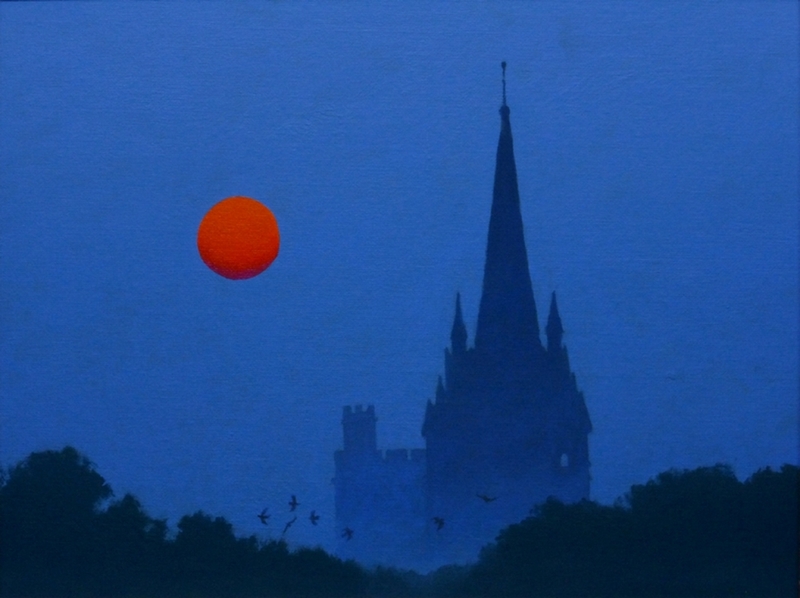 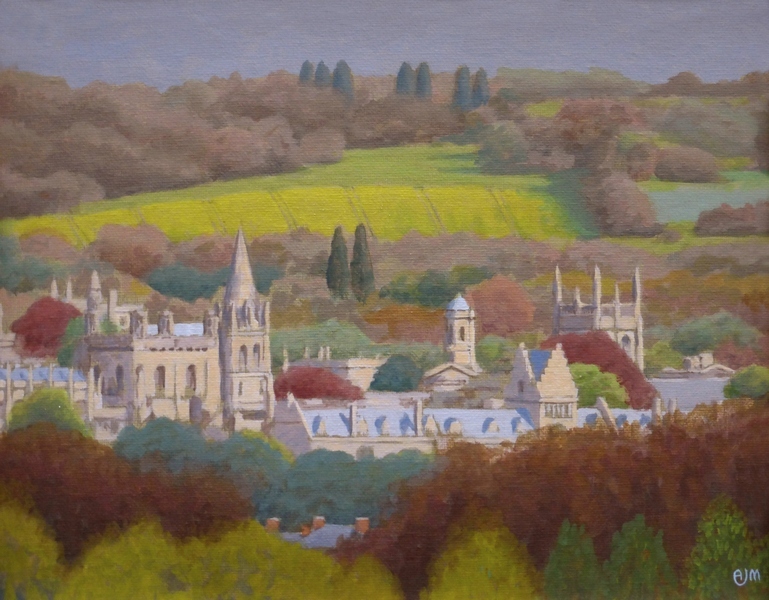 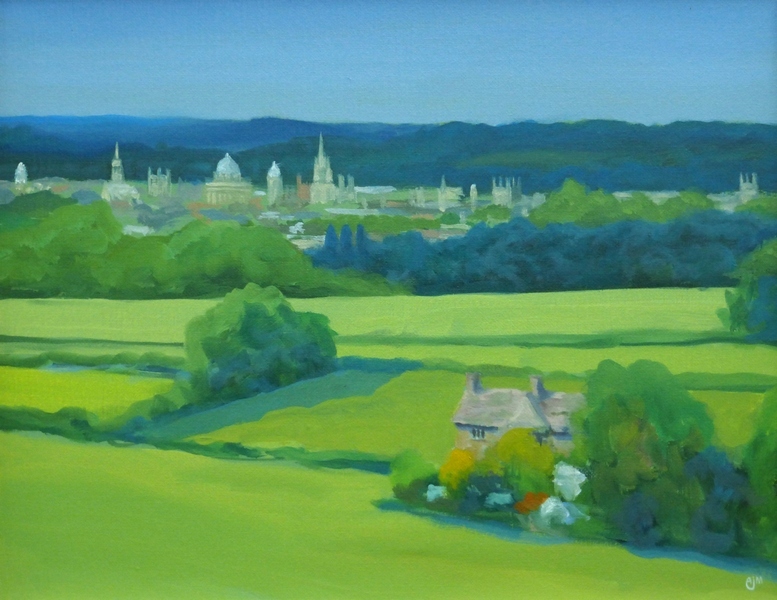 'Oxford Evening 3' oil on canvas (deep edge) 12" x 16"
'Oxford Sunrise, Orange' oil on canvas 22" x 8"
'Oxford Sunrise, Blue 2' oil on canvas 7" x 5"
'Oxford Sunrise, Green 2' oil on canvas 11.75" x 8.25"
'Green Man 7' oil on canvas board 8" x 12"
'Green Man 6' oil on canvas board 12" x 10"
'Oxford Evening 2' oil on canvas board 7.5" x 7.5"
'Oxford Morning, Dark Sky 2' oil on canvas board 20" x 8"
'OxfordSpring Noon' oil on canvas 12" x 9.5"
'Oxford Dream' oil on canvas 24" x 9"
'Oxford Midday' oil on canvas 12" x 9.5" private collection. 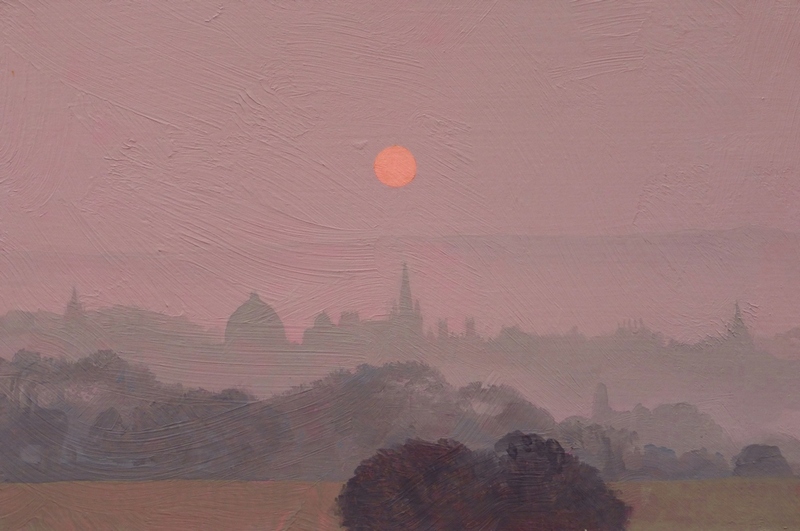 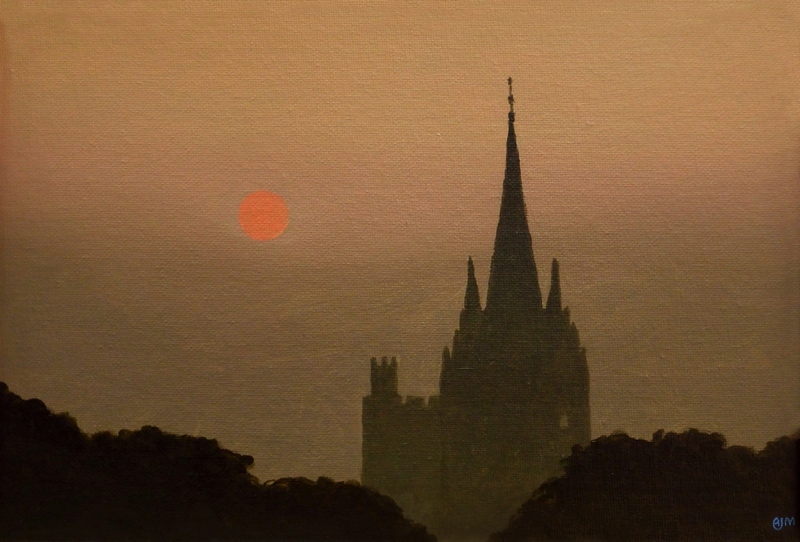 'Didcot Sunset' oil on canvas 40 x 30cm Private collection. 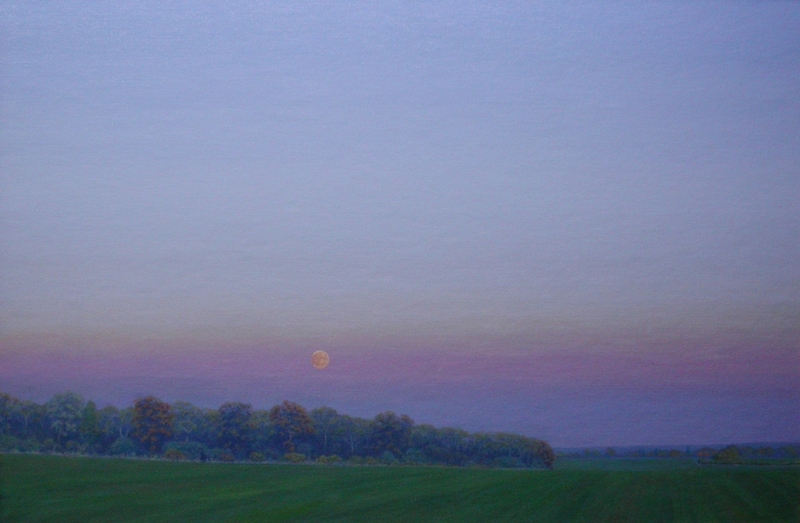 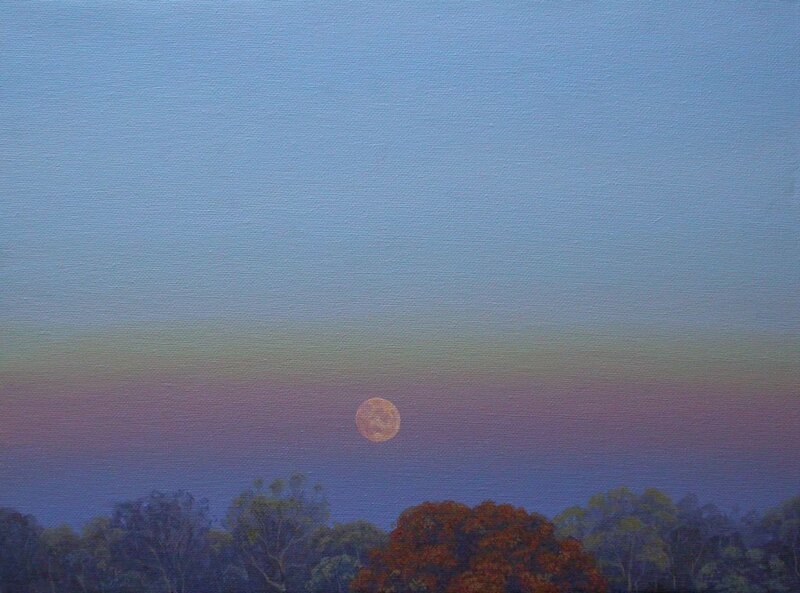 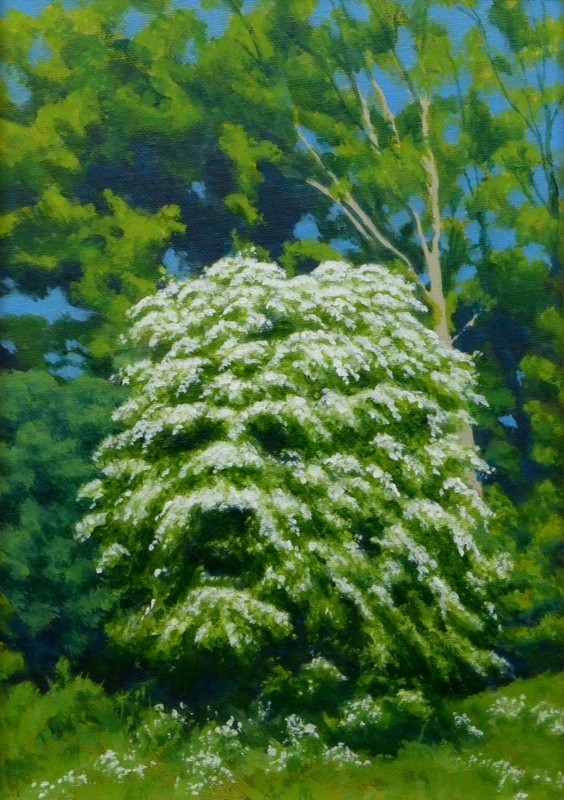 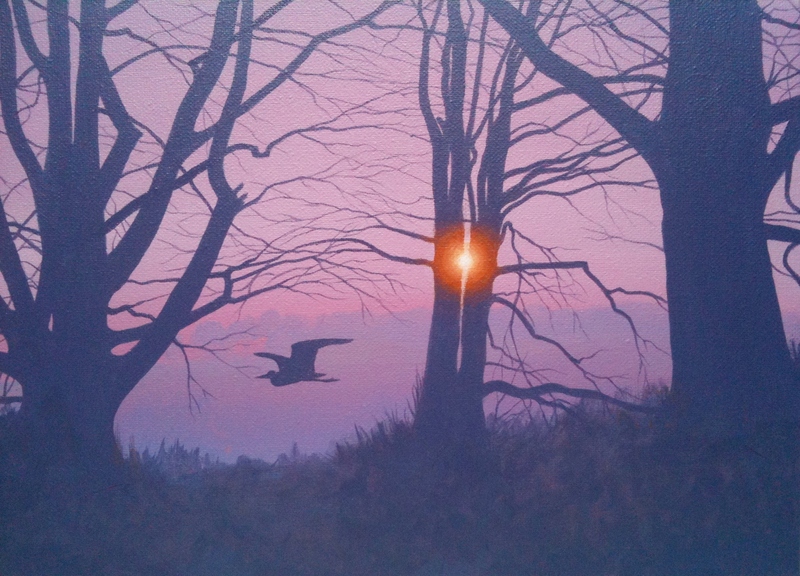 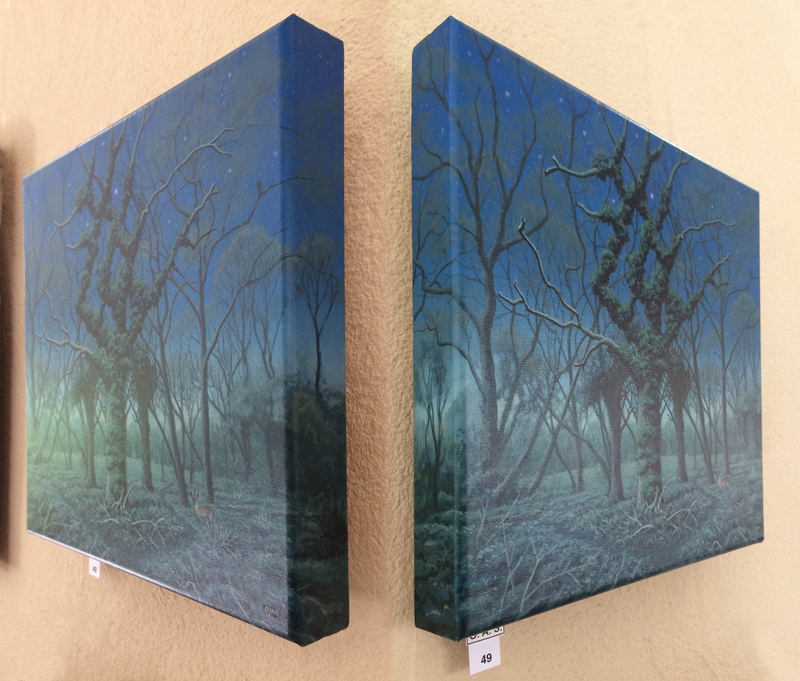 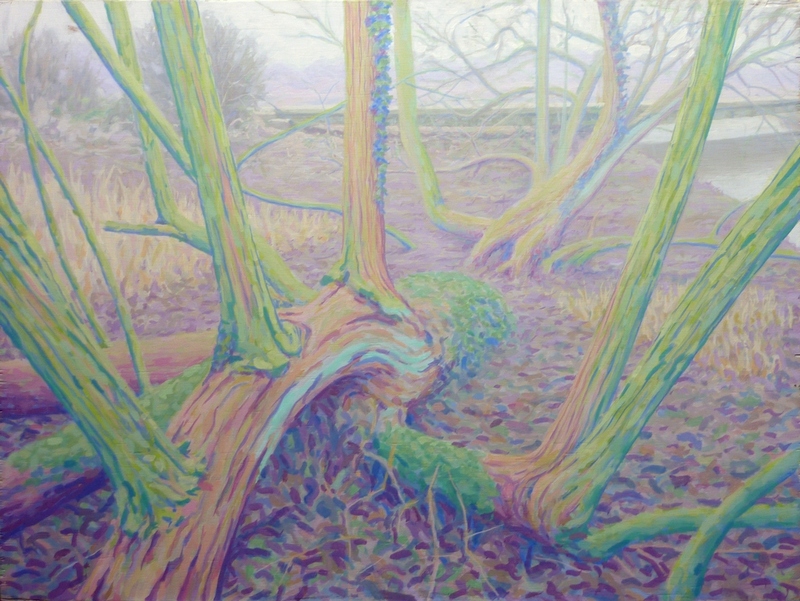 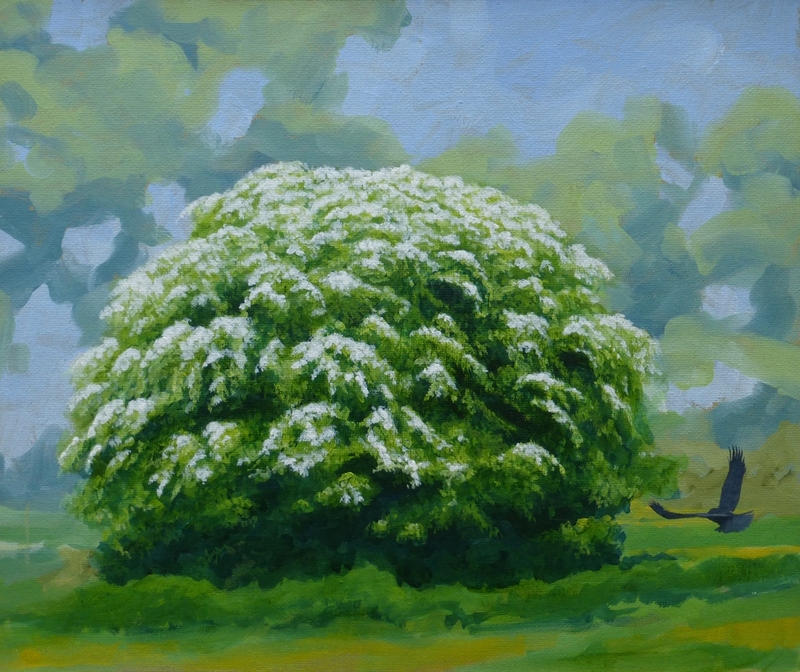 'Radley Moonrise 3' oil on canvas 30" x 20"
'Winter Willow' oil on panel 24" x 18"